Are you using a little foam wedge to apply your foundation? Or worse, your fingers? For years I used those little wedge sponges to apply my foundation, because I didn't know any better! But several years ago, a make-up artist with Prescriptives showed me the magic that is a Foundation Brush. Dip your foundation brush into the foundation, and apply it to your face. Spread it evenly and be sure to blend the edges. That's all there is to it. Trust me, your skin will look so much better when you use a brush. I start with my forehead, then move into my nose and under eye area, working outward towards my ears and jawline.If I need any additional coverage, I just dab a little more on with my brush. 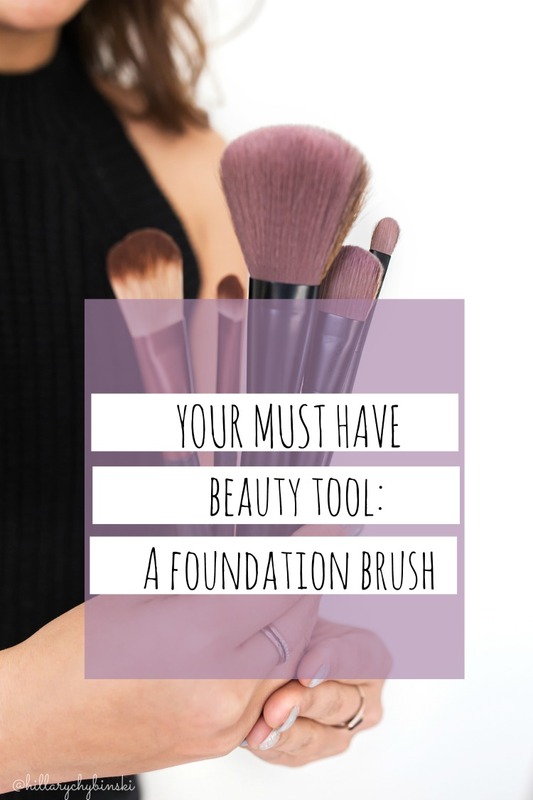 Personally I use a tinted moisturizer, but these brushes work with a variety of foundations. The brushes come in a variety of price points. My favorite is from Bobbi Brown. You can clean your brushes with a little gentle soap and warm water. Be sure to dry them upright to keep the bristles nice. Have you tried a foundation brush? What's your favorite? I had no idea such a thing even existed. Thanks for the information! Thanks for sharing this great tip! I had no idea. I looked at them on Amazon and was blown away when I say that Bobbi Brown brush was $102! That's crazy.